What is “Meth” (Methamphetamine) ? How Long Does Meth Stay in Your System ? Methamphetamine is commonly known as “Meth”. 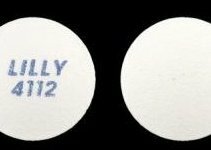 It is an illegal drug and falls under the category of controlled substances in Schedule II as per the laws of United States Of America. It is abused very often recreationally. The main reason is the temporary state of euphoria that is achieved by using the drug. This transient state of “high” includes experiences like- a feeling of euphoria, an increased sexual experience, greater alertness and an overactive cognitive functioning. These favourable experiences associated with the use of methamphetamine are mainly due to the action of dopamine release at the neurotransmitters in the brain. The dopamine tends to increase the activity inside the brain from methamphetamine use and causes favourable effects like euphoria. At times the levels of dopamine increase very rapidly and they lead to unwanted effects. The adverse effects caused by over dosing of methamphetamine are anxiety, agitation, delusions, hallucinations and mood swings. In some cases it may also lead to violence. The abuse and overuse of methamphetamine is known to cause a condition called “stimulant psychosis” where in the abuser has a mental breakdown due to the over use of the drug. There are studies that have shown that methamphetamine has a neurotoxic effect and it can kill the brain cells especially the dopamine neurons. It also damages important areas of the brain. Inspite of all this, many uses take methamphetamine and are addicted to it. They find it difficult to stop taking the drug as they suffer from withdrawal effects on discontinuation. It is considered as the most habit forming and addictive drugs known to mankind. So many users who want to stop taking the drug want to know how to clear their system off the drug completely. If you have been using methamphetamin and have recently stopped taking it then you will be reeling under the withdrawal symptoms of meth. So you may be interested in understanding on how long does meth or methamphetamin stay in your body. Studies show that meth has a half life elimination time of around 10 to 12 hours. The meaning of this is that the time taken by the body to eliminate half of the meth in 12 hours. Hence the drug becomes detectable in the blood and the tests stay positive for a period of 2.75 days after the last ingestion. If intravenous meth is used then the drug half life will be 11.4 hours. The half life on smoking the drug is lesser upto 10.7 hours. So if a person has smoked meth then it will get excreted from the body system in around 2.45 days which is faster than that in a user who has taken the meth intravenously. The dosage and frequency of use are important factors to consider but to clear the drug from your body, you need to stop taking the drug completely. The clearance rates will also be subject to various individual factors like the age, kidney and liver functions and overall metabolism of the body. There are many variables that affect the removal of the drug in the body and it will differ from person to person. These include the age of the user, intensity of exercise and physical activity, genetics and the overall metabolism. 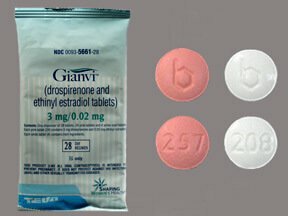 The use of other drugs and supplements also affects the clearance rate. (a)Age: The age of the person has an overall effect on the drug’s metabolism along with the capability of the body to clear out the toxins. The drug Methamphetamine is basically an exogenous matter as a result of which the body is likely to treat it as foreign. A younger person will excrete the drug faster as compared to an elderly person. The reason being that in the older user, the liver and kidney functions will be sluggish and they will have pre existing diseases which will slow down the metabolism. So, younger the user, faster will be the excretion of the drug from the body. (b)Liver & Kidney functions: Optimum functioning of the kidneys and liver is very vital for good metabolism and fast excretion of the drug from the body. Meth first gets metabolised inside the liver after which it gets broken down into the various metabolites. So a person having a liver or renal disease is likely to have a delayed clearance. (c)Genetics: Genes play an important role in the metabolism of the drug, methamphetamine. Specific genes are associated with either slowing down or expediting the clearance rate of meth. So consequently the clearance is linked to the presence of the specific genes. (d)Metabolism Rate: It is very important to consider the metabolic rate of the person when understanding the clearance or removal of meth. People who have a fast metabolic clearance will clear the meth much faster from their body as compared to those who have a slower metabolism. There are factors like age, dietary intake and physical activity which can affect the metabolism. (e)Use of other drugs and supplements: In case you are taking any drugs or supplements with meth, then the metabolism and absorption tend to get affected. Co use of many drug together will delay the clearance of meth especially 2D6 enzyme inhibitors. The absorption can get affected by the use of dietary supplements too. There are no fixed studies that can show the relation between the drug dosage and the excretion rate of methamphetamine. But it is a commonly known fact that those users who take larger doses of meth will have a greater accumulation of meth in the body and so the excretion will take much longer. This means greater the dose longer will be the clearance period. If there is some relation between the dose of the drug and the duration for which methamphetamine was taken then it goes to say that drug users who take greater doses will tend to eliminate the drug at a slower rate than low dose drug users. If the theory about the dosage and elimination time is true, then further research can be done to ascertain how fast the particular dose will get metabolised. At present it is unknown how much time it would take to metabolise 10 mg and 200 mg of methamphetamine. The threshold speed of metabolism of meth by the body is still not very clear. The studies have shown that the way the drug is taken or the route of administration has a great impact on the rate of clearance of the drug. Those users who inject the drug intravenously using injections will have delayed clearance rates as compared to those who opt for smoking or snorting (intranasal use). The time taken by the body to clear the injected methamphetamine from the blood will be much longer compared to smoked and snorted meth. (a)Intravenous: IV or injectable use of the drug involves the use of injections through which the drug is taken directly into the blood stream. The average elimination half-life of methamphetamine that is taken intravenously is 1.14 hours. This indicates that after stopping the use, it will take 11.4 hours for the body to clear half of the meth. So to clear 100% of the drug, the time taken by the body will be 2.61 days (63 hours). (b)Smoking: When methamphetamine is smoked, the drug’s elimination half life is known to be 10.7 hours. So after stopping the drug the half life or 50% of the drug clearance happens within 11 hours. This time is quicker when compared to an intravenous drug user. (c)Intranasal: When understanding the clearance speed of methamphetamine it was seen that the time taken to clear the drug via smoking and snorting is almost the same. So the half life or the time taken to clear the drug is almost 11 hours. 100% clearance would take around 2.52 days. So the conclusion is that in case of intranasal users, the systemic removal of the drug takes 60 hours. The frequency at which the drug is consumed has a very important effect on the elimination of the drug. More regularly the drug is used, longer will be the time taken by the body to excrete it. The reason is that frequent usage increases the tolerance level in the body of the user and so they tend to keep increasing the dosage. If the user takes the drug many times a day, the levels of meth accumulated in the system increases. The body of a regular drug user become tolerant of the doses ingested and so it is unable to quickly metabolise the methamphetamine. This is mainly because there are neurophysiological adaptations that are caused by use of meth. And the dosage ingested is way to large for the body’s clearance mechanism. So it can be concluded that frequent and heavy drug users will retain the drug for a much longer time as compared to short term and occasional users. Regular use of the drug for recreational purpose will result in blood concentrations between 0.01 to 2.5 mg/L but when it is abused then these levels cross 2.5 mg/L. The metabolism of the methamphetamine occurs mainly by the cytochrome P4502D6 (CYP2D6). The enzyme CYP2D6 is found in the liver and it breaks down the methamphetamine into the active metabolite, that is amphetamine. The plasma levels of amphetamine metabolite will peak in the body approximately 10 hours after the administration of methamphetamine. The other metabolites of methamphetamine are norephedrine and p-OH-amphetamine. These metabolites can be found in the body of a drug user for as long as 6 days, that said in most cases it is detectable for 3 days. Approximately 30% to 50% of the ingested methamphetamine is unchanged during renal excretion. In those users who take the drug intravenously, about 45% of the methamphetamine is excreted unchanged through the urine. Out of the total drug excreted 7% to 23% of it is removed in the form of its active metabolite, amphetamine. There are many types of tests that can be employed to ascertain whether a person has taken methamphetamine or not. The commonest test is urine test. Another common method of testing is blood tests but it is less preferred because it is invasive in nature. Other tests include hair tests which normally detects the consumption of the drug for a long time period and saliva test that is the least invasive method of testing. The commonest tests that are used to detect methamphetamine are urine tests. The urine sample from the suspected user is collected and sent for analysis to the laboratory. The window period for detection whether a person has taken methamphetamine via a urine sample is upto 5 days. The drug gets excreted in the urine in 2 to 5 post ingestion. In most of the users the drug will appear in the urine and lead to positive urine tests for atleast three days. In seasoned users, the drug will appear in the urine till as long as six days. The acidity and alkalinity of the urine can also affect the test results. Half of the methamphetamine stays unchanged in the urine before it is excreted and so the detection is very easy. The metabolite called amphetamine is present in the urine too and its concentration is 10% to 20%. The presence of meth on a blood test can be ascertained for 1-3 days after ingestion. This period will vary depending on the mode of administration of the drug. The blood test can come positive if a person has had methamphetamine 2-4 hours prior an oral ingestion. After a smoke, the test can be positive within minutes and almost immediately after an intravenous injection. When an injection is taken the drug spreads into the bloodstream almost immediately. The window period of detection on a blood test is smaller and it entails drawing of blood so it is less preferred over a urine test. A hair test cannot be used if you want to detect the recent ingestion of the drug. However if a person has taken methamphetamine in the past then the new outgrowths of hair will contain the drug and the test will come positive within a period of 3 months. The hair sample used for hair testing needs to be 3 to 6 cm long. The rate of growth of the hair is normally 1 cm per month so an immediate hair test will not show a positive result even if the person has taken meth. If a person has taken meth a few months back and is subjected to hair testing then the test will come positive. Hair tests are considered fairly accurate and they can very well detect the drug over a window period of 90 days. Saliva tests are used mainly to detect the presence of methamphetamine but it is a rare form of testing. A swab of saliva collected as a sample can detect the presence of methamphetamine for 1 to 3 days. The earliest that meth can be detected is within ten minutes or oral ingestion of the drug. It can be detected for up to 48 hours in the saliva. There are many categories of people who could be subjected to drug testing for methamphetamine and the reason is that the drug is highly addictive and so users find it very difficult to quit. In the world of athletics, there is a very well known term called doping. This is basically the use of meth by professional athletes as a psychostimulant. Some employers and rehab centres also recommend testing for meth. (1)Athletes: In professional sports, the use of meth is very common. It is seen mostly in sports like boxing, football and racing. 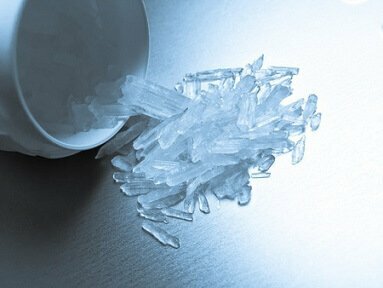 Methamphetamine gives added energy and improves the focus and performance. So its use has become very popular among new and budding athletes. Many sports therefore entail random testing for the use of meth just to check whether the players are hooked on to the drug or not. (2)Drug Rehab Inmates: Many rehab centres carry out testing on their clients to check whether they have remained sober during the process of stopping the drug or have they begun taking it again. It is mainly to optimise the efficacy of the rehab programme. (3)Employees: Many employers make sure that their staff is tested for methamphetamine and other illegal substance abuse. The metabolism of meth is such that almost half of the drug is excreted out as it is and so the detection is quite easy. If someone is tested positive for the drug then they can be fired from the job. (4)Hospitalised patients: An unconscious patient may be tested for methamphetamine to check whether the present condition is a result of drug over dose. Meth is commonly associated with over dosing and its effects are quite severe. So it is commonly used in hospitals. Here is a list of few things that you could try to ensure that your system is totally cleared of the meth. Most of the tips are common and general knowledge. (1)Stop Taking It: The most important tip is to stop taking the drug completely. The most effective your control, the faster you can clear the drug from the body. 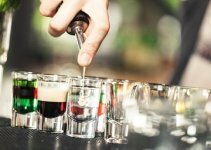 If after stopping the drug, you continue to take it occasionally, then the clearance period will get prolonged and the drug will remain in your body for much longer. (2)Hydration: Good water intake and hydration can help you to flush out the methamphetamine from the system faster. The drug gets metabolised and excreted at a rapid speed and is removed from the body via the urine. So drink plenty of water and eliminate the meth more effectively. (3)pH of the Body: Those people who have a more acidic pH will eliminate the drug much faster than someone with an alkaline pH. Acidic urine can fasten the elimination of methamphetamine. There are certain foods that can help to increase the acidity of the urine and clear methamphetamine faster. (4)Exercise: It is a well known fact that exercise improves the overall metabolism of the body and a good metabolism will help in absorption and excretion of the meth at a much faster rate. So if you want to clear the drug from the body, add a run or a jog to your daily routine. (5)Diet: Have a healthy and wholesome diet. Good food will ensure that you get all the nutrients needed by the body to function optimally. Individuals with dietary deficiencies will clear the drug at a much slower pace than someone who takes fruits, vegetables and fibrous foods. Have You Been Tested ?? If you have taken methamphetamine and have been drug tested for it then let us know your experience. Did you pass the test or not. Mention the dosage consumed and the time for which you took the drug. This will help others understand how the drug acts in the body. How long do you think the drug stayed in your body and did you notice any factor that could fasten the clearance of the drug. If you have passed the drug test, tell us how you cleared the meth from your system completely. If you noticed any variables that affect the metabolism of methamphetamine then share them here. My husband had a relapse a month ago. Prior to that he was clean for 3 months and prior to those 3 months he was using meth on and off. I tested him today, urine test, his sleep pattern was off. It came out positive but he swears he hasnt used in last 30 days. Is it possible for metth to still come out in urine after 30 days?